As part of my new F2P or Free Trial MMO project, I have the pleasure to introduce a completely different type of game. And yes, it’s still an MMO. 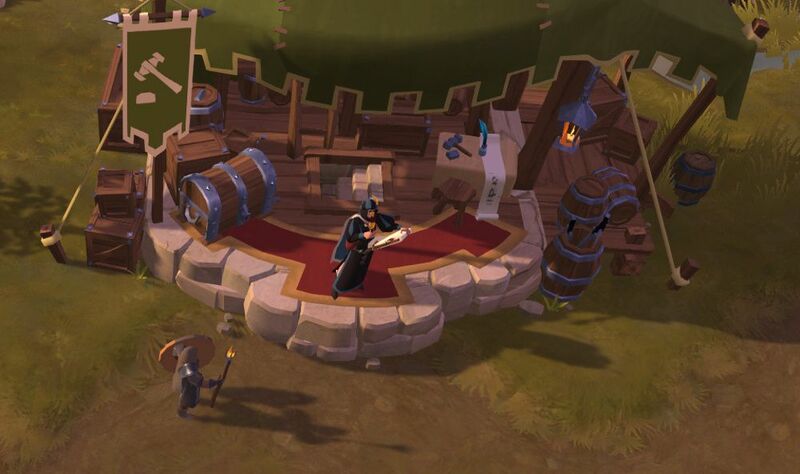 Welcome to my Albion Online review, a game with no quests allowing you to be and do whatever you want! You start out with no money and almost no clothes to your name as your ship ran aground on the way to Albion. What you do after you land, is up to you. Your character has to survive and forge their own future! All screenshots are clickable if you want to open them full-screen. Below is a collapsed menu of each of the sections if you want to skip to certain parts of the review! What is a Sandbox MMO? Albion Online goes Free-to-Play in April 2019! 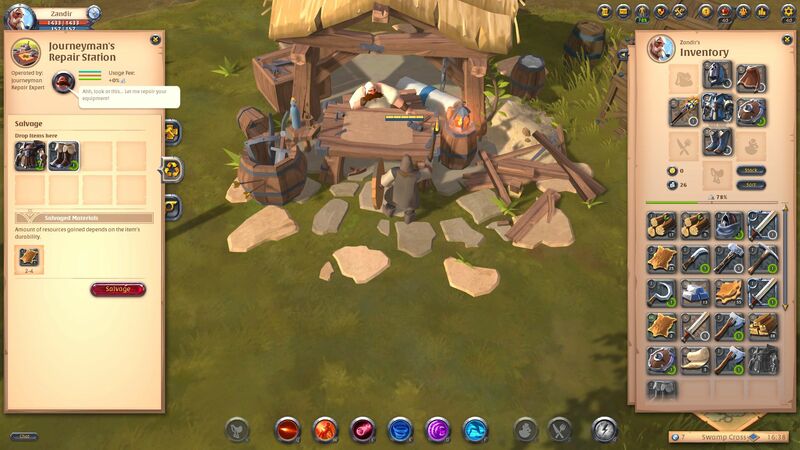 Albion Online styles itself as a ‘sandbox MMO’, so let’s start with that. And from the free trial this is exactly what they have achieved! No quests after the introductory tutorial quest line. Although for the purposes of groups there are ‘roles’, there are no set-in-stone classes. You can choose to focus on money-making through gathering or crafting. Taking on enemies, while encouraged, is optional. Except where they stand in the way of your resource gathering. Factions/Guilds can compete for real-estate. Kind of like a turf war. You choose what ‘path’ or ‘paths’ you take. Effectively, choose your job, vision…life. This is one of AO’s own catch-phrases. It sums up the principle that you can switch roles, or play-styles by changing your gear. My Mage, defending himself with a shield, is pictured below. I’ve started experimenting with heavy armour while being a ranged DPS. So far it seems to be working fine! Each item of armour has a choice of abilities attached to it. So you can mix-and-match armour-types to get the range of combat abilities you want. The core screen for seeing your progress and deciding your purpose on the world of Albion is the Destiny Board. This helps you decide which fighting styles you may want to pursue, what to craft and gather etc. 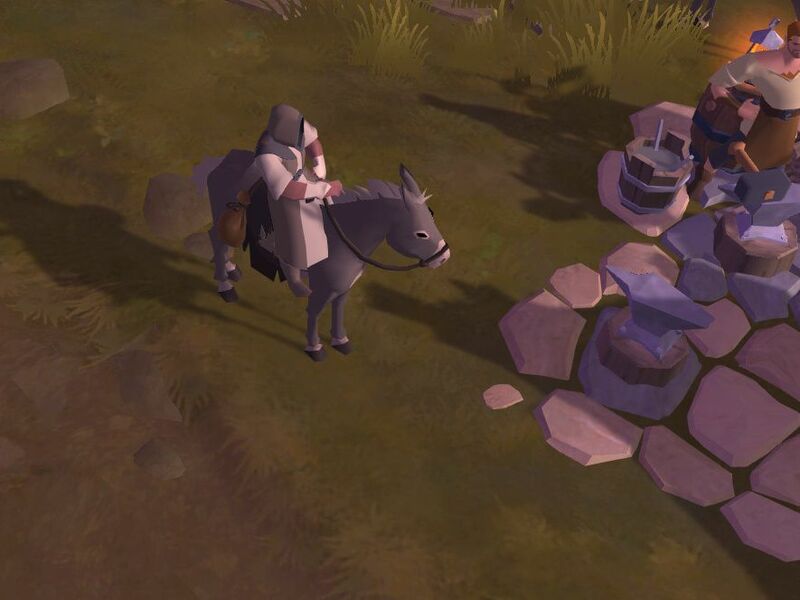 While there are no ‘quests’ in Albion Online, you do get ‘missions’. However these are more like tasks – what you need to do to achieve the next stage of your Destiny path(s). 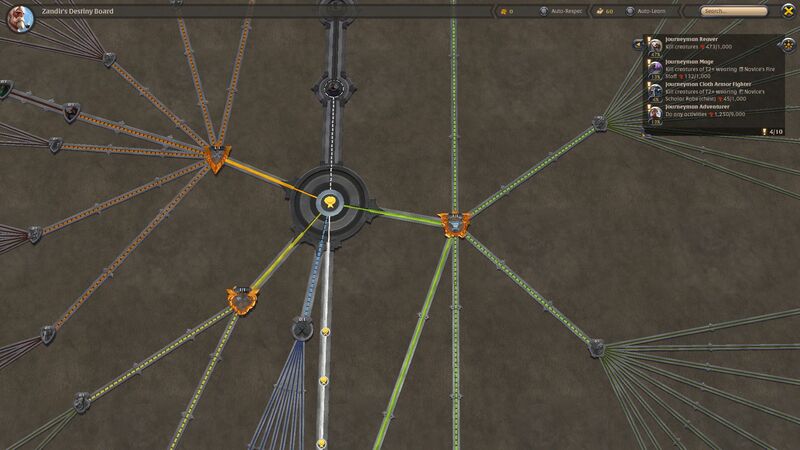 Because AO is a Sandbox MMO, you’re not restricted to one trait tree or one crafting profession. You can do what you want! Here’s a helpful guide I found with getting started on the Destiny Board. While the view is ‘top down’ (you can’t zoom in to see your character’s face, for example) the world is both simple and beautiful. 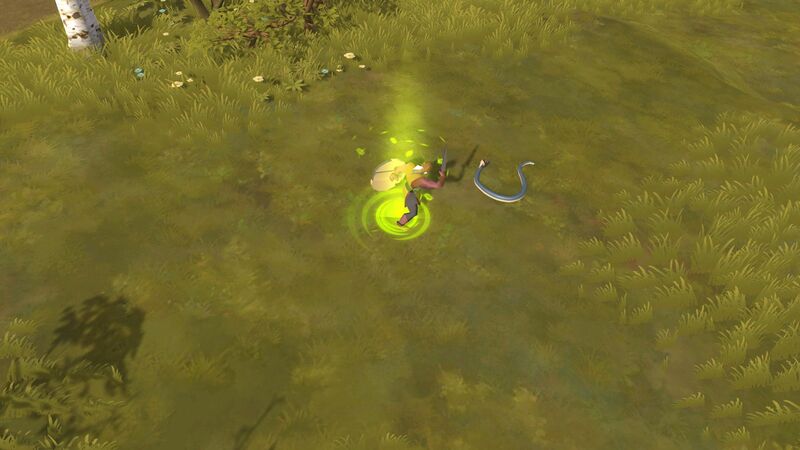 Unlike most other games I’ve played, in Albion Online you do not use the ASWD keys for movement. Instead it’s achieved through mouse-clicks, with ASWD reserved for key combat abilities. 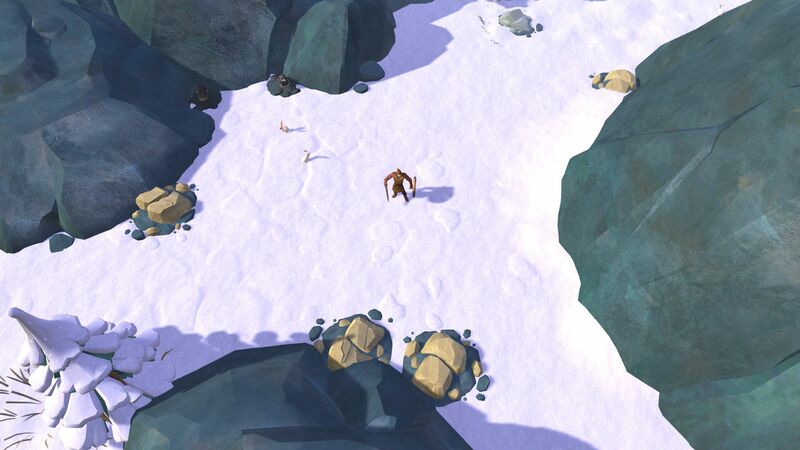 Even if you want to buy your own island safe-haven, you cannot avoid combat altogether – hides have to come from somewhere, even if they’re from the cutesy snowy rabbits! Part way through the introductory tutorials, you gain silver by defeating enemies. Then you use the plunder to buy your first mule from the market. This increases your carrying capacity as well as making journeying through Albion quicker. You also are reminded that you need to earn in order to purchase – shocking, I know! No boxes or quest rewards, all gear and its pricing is driven by players. You can make your own gear or sell some on the market to other players. There are no ‘gear vendors’. 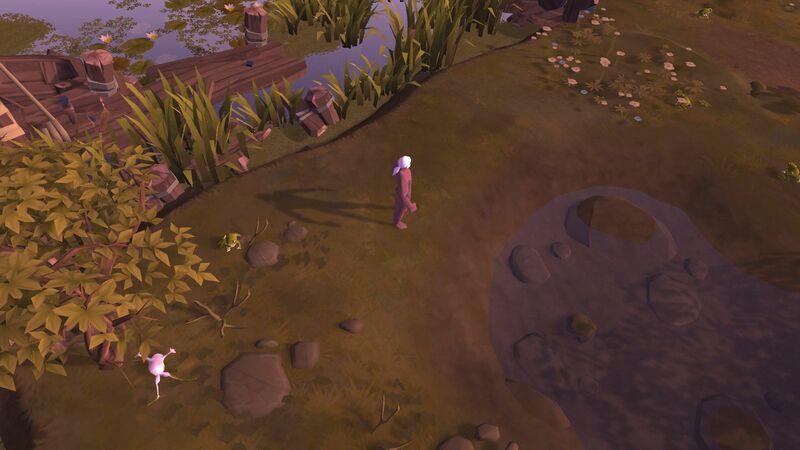 Crafting starts the moment you wash up on the coast of Albion! So there’s no mistaking the importance of this aspect to the game. Go green! If you locate a Repair Station you can salvage some of the materials from crafted materials. Anything saved is slightly less you need to harvest. Or maybe the salvaged materials yield more silver on the Market than the whole item. Either way, there’s no need to waste anything! You can sell your items directly to the market. This is often called “trashing” to an NPC vendor. You get a set price for it. You can sell your items to other players. 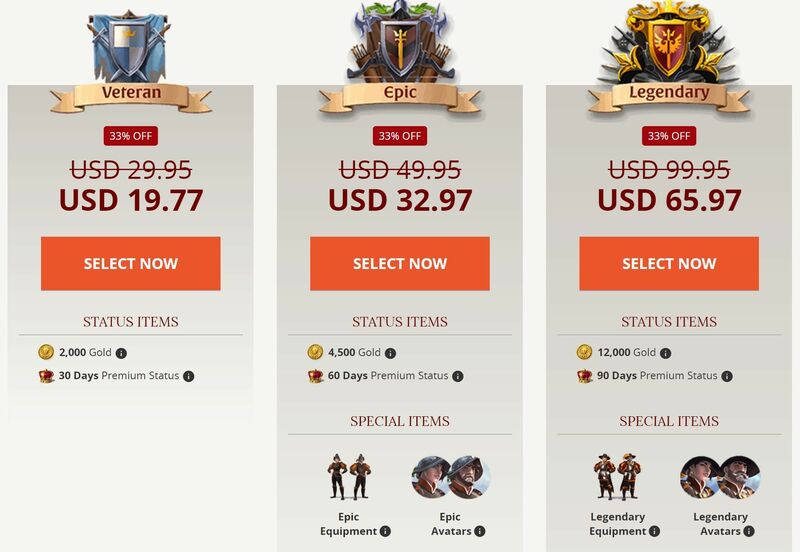 Prices fluctuate and, if you’re not in your Albion Online free trial, the “crown” icon can show you how the market prices are doing in real-time which is kinda neat. Unlike, say SWTOR and LOTRO, the marketplace is not a world-wide feature. Local markets have local products and prices. This means whether buying or selling, you may find better prices in different towns. If you plan on making money through the market, you’ll need to compare prices at different towns as you work through regions. I really like this aspect to the game, from a community perspective. You don’t have to pay the highest price, if you’re happy to shop around different towns. And as with other games, it also means you do not have to make all your gear. You can make money by gathering then buy the gear if that’s what you want to do. AO player @ldygamer points out you can also play the marketplace. This means if you wanted you can use it like a stock-market, where you can try to buy low and sell high. So that’s another way to use this feature. There are Green, Yellow, Red and Black Zones. 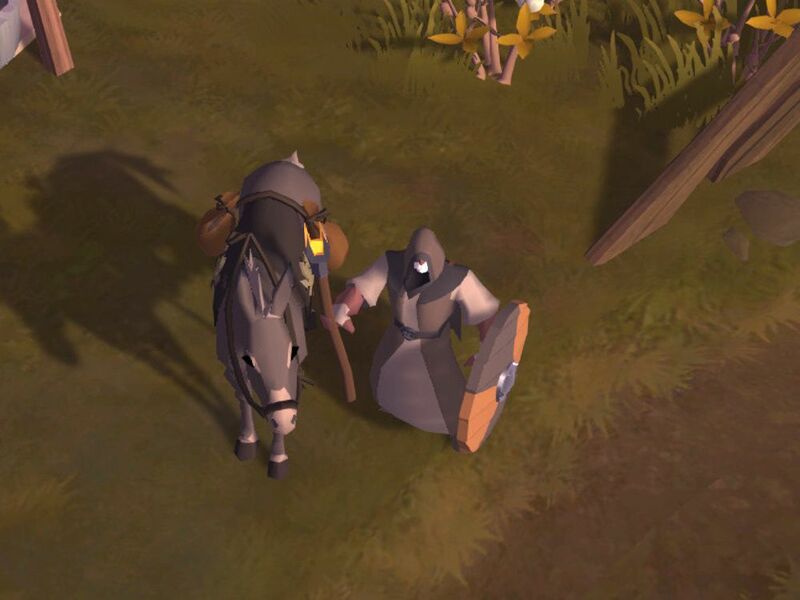 As you progess, be aware that NPC enemies are not your only foes. In Red and Black Zones, you can have your currently-carried/equipped items looted – yes, even by players. PvP is strong in later regions. That means you may never lose your coin, but can lose your mount! And mounts increase how many resources you can carry! Because of the strength of foes and the fact that you cannot ‘opt out’ of PvP in Red and Black Zones, you will need a guild. Again @ldygamer helped explain why. You will need protection while out gathering, in order to further crafting. More Friends = Fewer Enemies: as guild-mates cannot attack each other, if you’re part of a guild, there are fewer players waiting to rob you! Guilds can ally with other guilds. Allies also cannot attach each other. There is strength in numbers. 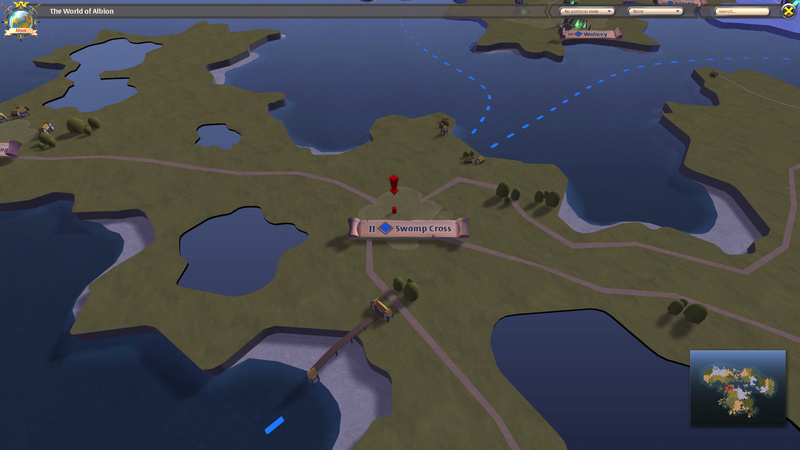 Players and guilds can own territories and vendors. Each guild may have a different focus to others. 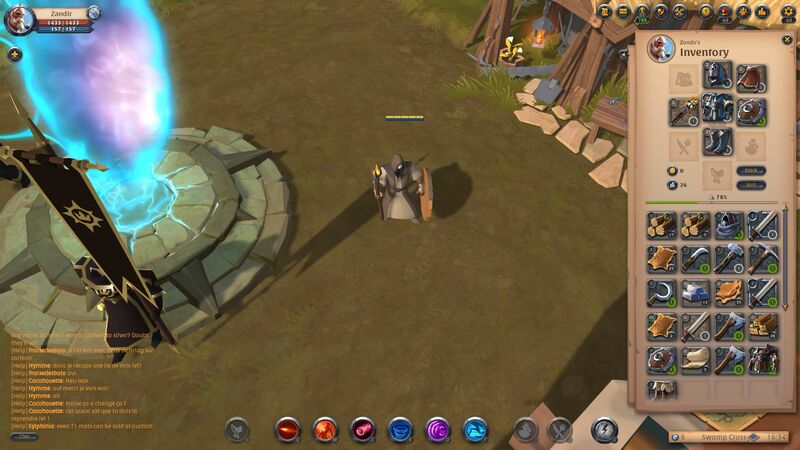 Gathering, taking on enemy NPCs, fighting other guilds etc. So finding a guild that can suit your own aims becomes necessary the deeper into the game you go. From my understanding, free trial codes are not available all the time. I got mine through another player – which may or may not be a referal code. I don’t mind if it is. You get 7 days of access with the ability to reach Tier 4 on the Destiny Board. But that is more than enough to get a feel for the game. AO is quite unlike any other game I have come across. It’s got the freedom of lifestyle of The Sims, combined with combat akin to other MMOs, with a community attached. I am still trying to decide what my character should do, if “should” is the right word. This is only difficult because other MMOs are very quest or story-oriented. I’m very much a follower, rather than a leader, in this context! But to be whatever you want to be, go wherever you want to go and do whatever you find most enjoyable is freeing. How I cope going into red zones later is a different question, of course! But if you’re looking for game that doesn’t feel like a cookie-cutter MMO, then this one is well worth trying. 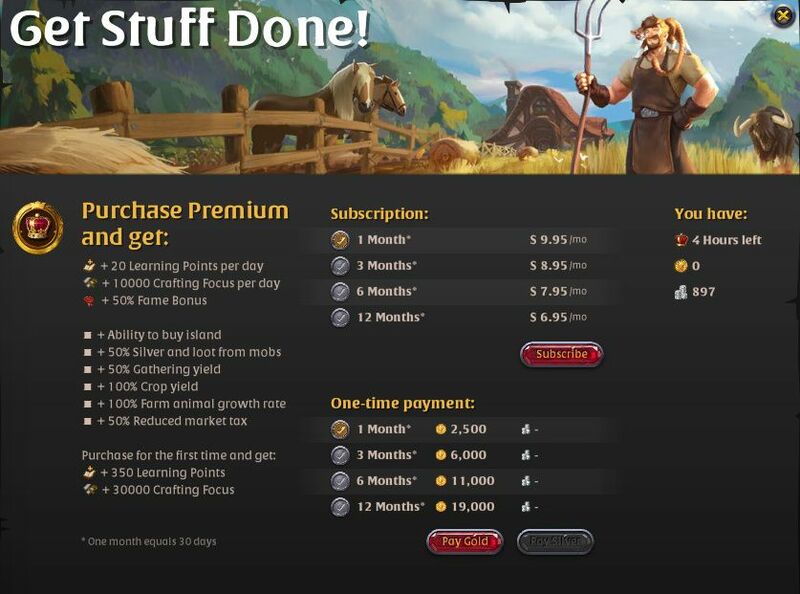 While Albion Online does have subscription options with relevant rewards, the only thing required is an initial purchase. Prices start from about $20 USD, approximately £15 GBP. These are discounted now as they’ll be phased out when they go F2P! You then have full access forever, as far as I can see. Obviously subscribers – “Premium Members” – get perks, as well they should. Such perks include monthly gold income, the ability to buy an Island and extra resources from each gathering note. But a subscription is not required. However, you can buy a subscription with real money, OR earn enough Gold in-game to earn Premium Status. AO goes Free-to-Play in April 2019! 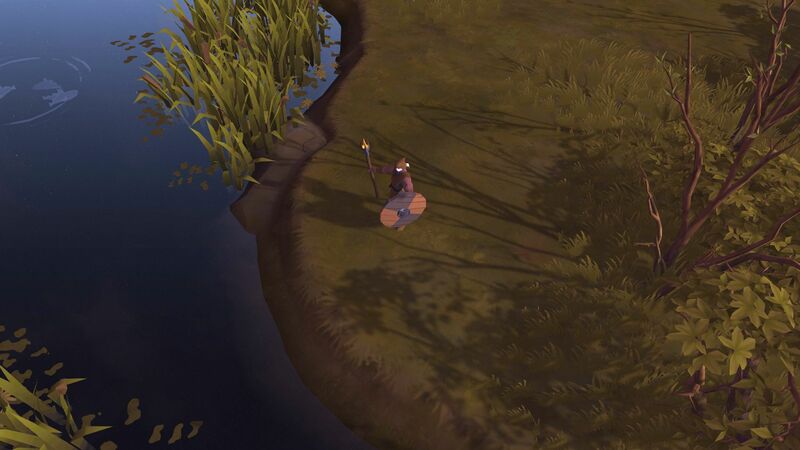 In a post in March, Albion Online announced they would be opening up the world as Free to Play! This means from 10th April 2019 you will not need an initial purchase to begin playing! Trial Codes will be phased out because of this. So if you’re looking for another MMO to mix up your gaming time, you can do so free of charge from April! TL;DR Albion Online Free Trial – Try to Get One! If you have a better attention span than I do, which is not difficult, you can achieve a lot in 7 days. You may need to ask around to get an Albion Online trial code (for now), but if you can – then I highly recommend giving this MMO a go. Great guide! AO is a really refreshing change to the usual MMOs I’ve played in the last 10 some years. I’ve been quite happily playing (*coughs* hello, my name is.. and I’m an AO addict) the game since it’s release in July of 2017. Wow! Nearly two years? My, the time flies when you are having fun. So the saying goes. So yeah, even though I may be a bit biased, I highly recommend Albion Online whether your play style prefers solo or you are looking for some fun guild vs guild action. While pvp is optional in some cases, there are areas where you get auto-flagged (no choice) and can lose every single thing on your character (which, I might add, is probably the most lucrative way to make money in the game) to another player or group of players. As this guide mentioned, AO is free to play (you don’t have to buy the game to play) as of April 10, 2019. So come join us. Craft. Trade. Conquer.